About five years ago, Belynda Kirby began training to seek out the homeless. “It was a collaborative effort of different agencies including Homes for Harrison County and the Clarksburg Mission, among others,” she said. She has worked in various communities, including outlying areas of the county where homeless individuals were discovered on a regular basis. With each individual who received help, she felt her work was worthwhile and she admits she was disappointed when she was assigned to do that work in Bridgeport. “I thought I’d never find anyone here,” she said. During the past three years, she has discovered she was wrong. 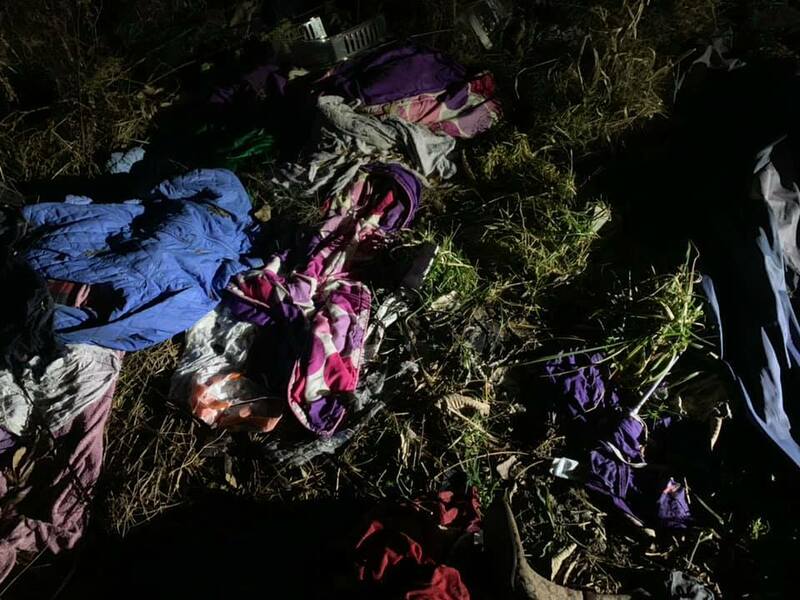 She and others on her search team have also discovered a number of individuals living in tents, out of their cars and in the elements, right here in Bridgeport. Just a little over a week ago, her team found three people homeless in the Bridgeport area; two in their cars and one who was temporarily housed in a hotel. There are a lot of misconceptions about homelessness. One of those individuals was able to move in with a friend in another county during recent days of extremely cold weather and winter conditions. Since then, that individual was put up in a local hotel, thanks to some anonymous generosity. Kirby said each individual she runs across is embedded into her memory forever. This individual – who was found in a car; one in need of a battery and a transmission - was especially memorable. Upon discovering a prospective homeless person, volunteers proceed to interview them, gathering information and assessing risk. Those determined to be without a home are placed on a priority list and provided available resources, such as West Virginia Coalition for the Homeless, Clarksburg Mission, United Way, Veterans Administration, etc. The gentleman didn’t have health issues or addiction issues and he is employed part-time, working about 15 hours per week. It’s not unusual, Kirby said, to find encampments of homeless individuals right under our noses. Sometimes – many times – these individuals do not want to enter a program, such as the Clarksburg Mission. They are also many times concerned about their possessions, even those which seem insignificant. Others are addicts, not meeting rules to reside at the Mission. Some have families right here in the city. It’s very difficult to understand, but it is a real situation and it’s important to have an open mind and be willing to help these individuals, Kirby said. The homeless searches are conducted twice per year in accordance with the National Homeless Assessment conducted by the U.S. Department of Housing and Urban Development. Volunteers work in groups of usually three or four. They use extreme caution when approaching a potentially homeless person and are trained to know how to approach them and how to talk with them. The volunteers often go back and check on individuals, taking extra blankets, food and other items. It’s a labor of love and one that Kirby truly loves. “While I hope to never find any because I want there to be no homeless, I always love when we can make a connection and possibly help be the start of them finding a home,” she said. Those who would like to be part of the effort to house and otherwise help homeless individuals can get information through the Clarksburg Mission or The Change Initiative of West Virginia. “The Change Initiative is a new organization in Clarksburg which fills in the gaps,” Kirby said. Organizing warm/emergency shelters, providing children with food during snow/ice days and training mentors are just a few of the organization's projects. 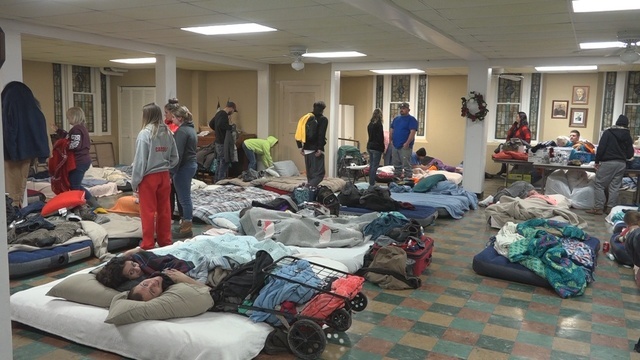 Just Wednesday, The Change Initiative of West Virginia, along with other agencies, set up an emergency shelter at United Methodist Temple in Clarksburg. Several in need took advantage of the offer for a warm place to sleep.